On February 28, 1963, over in Arizona, U.S.A., a constellation of seven angels appeared to a man named William Marrion Branham in the form of a ring shaped-Cloud. These seven angels came from the presence of God revealing to him the hidden mysteries that were sealed in the Book of Daniel and the Book of Revelation. This was to inform the people of God of the perfect will of the Father in preparation for the oncoming millenial reign of Jesus Christ upon this earth. It was as they left Brother Branham that they formed this mysterious cloud which Life Magazine had featured in their May 17, 1963 issue and Science Magazine in their April 19, 1963 issue. The original glossy prints reveal the full face of the Lord Jesus Christ as the picture is viewed from the right side angle “like unto the Son of Man, His head and His hairs were white like wool, as white as snow” (Rev.1:13). Hovering like a giant's smoke ring, a great cloud appeared at sunset over Flagstaff, Ariz, last Feb. 28 and set off a continuing scientific mystery. Watchers struck by the cloud's odd shape and huge size, took pictures, like these four, at different times and from widely scattered locations in the state. Dr. James McDonald, a meteorologist at the Institute of Atmospheric Physics in Tucson, has been accumulating the pictures. Using them as the basis for trigonometric calculation, he has made a startling discovery that the cloud was at least 26 miles high and 30 miles across – "a lot higher and bigger," he says, "than a cloud should be." The circle was too high to be made by a jet plane, and so far as Dr. McDonald can determine, there were no rockets, rocket planes or bombs being tested nearby that day. He hopes anyone else with pictures will lend them to him, for he would like some more clues about the cloud 26 miles up – no water droplets exist at that height to make a cloud. The photographs on the following pages were scanned from p.112 of Life magazine May 17, 1963. Ring-shaped cloud seen at sunset on 28 February 1963 in northern Arizona and areas of nearby states. The height, as estimated from four photographs made in Tucson, Arizona, about 190 miles to the south of the cloud (which appeared overhead near Flagstaff), is about 35 kilometers. This photo was taken by Clarence E. Peterson of Bremerton, Washington, while he was looking almost due north from near Camp Verde, Arizona. The unusual nature of the cloud was evident to observers who noted its striking luminosity long after the sun had set at ground level. It was at least 11 kilometers higher than the upper limit of possible jet contrail formation, and was at least 5 kilometers higher than previously reported nacreous clouds of the arctic type. Its true nature is still unknown; more photos are being sought for triangulation purposes. See page 292. Abstract. An unusual ring-shaped cloud was widely observed over northern Arizona near sunset on 28 February 1963. From a large number of observers' reports it is known to have appeared overhead near Flagstaff, Arizona. From initial computations based on four photos taken in Tucson, 190 miles south of the cloud, its altitude was approximately 35 kilometers. The most distant observation reported was made 280 miles from the cloud. The cloud remained sunlit for 28 minutes after local sunset. Iridescence was noted by many observers. Tentatively, the cloud may be regarded as similar to a nacreous cloud; but its unusually great height and unusually low altitude, plus its remarkable shape, suggest that it was a cloud of previously unrecorded type. Near sunset, on 28 February 1963, a cloud of unusual configuration and coloration was observed in widely scattered localities in Arizona and some surrounding states. The cloud took the form of a large oval ring (clear in the middle) with the long axis running north and south (Fig. 1 and cover photograph, this issue). It remained brightly illuminated well after the sun had set on high cirrus clouds to the west. From Tucson, 190 miles to the south, its angular elevation appeared to be about 6 degrees. A rough computation of its height, based on sunset geometry, (1) made immediately after the cloud entered the earth's shadow, led me to appeal by press and radio for confirmatory reports in order to establish the approximate location and to secure descriptions from the largest possible number of other observers. From approximately 150 reports, many communicated by persons well aware that they had seen a type of cloud unprecedented in years of skywatching, it was quickly established that the cloud lay overhead in the vicinity of Flagstaff, Arizona, that it exhibited iridescence of the sort associated with stratospheric nacreous clouds in the arctic (2,3), and that its internal structure was very peculiar. To observers nearly underneath, the colors green and blue were visible, and a pinkish cast was noted at times. A fibrous texture, described by several independent observers as resembling a "wood grain" appearance, was present over much of its northern extent, but its southern end was denser and more cumuliform. Its overall shape was compared by some (ranchers) to a horseshoe or a horsecollar if it was viewed from south; from the north it appeared as a closed loop with a long thin trail that could be seen extending northward, from the oval, and several observers in that sector compared its shape with that of a "hangman's noose." The cloud was seen from distances as great as 280 miles (near Douglas, Arizona and Albuquerque, New Mexico, respectively). Many observers reported a second cloud off to the northwest of the main cloud, with shape very much like that of the main cloud, but only about a quarter as large. Correctness of these reports has been established from some of the first photographs that have come in from northern Arizona. The cloud was evidently moving generally south-eastward, though visual reports are in some conflict on this point; this point can only be resolved from further studies by triangulation. By fortunate coincidence, the cloud appeared within a few tens of miles of the U.S. Weather Bureau radiosonde station at Winslow, Arizona, and a high-altitude sounding had been completed there only an hour before the appearance of the cloud. A jet stream lay almost directly under the cloud and over Flagstaff, and there were peak winds of 98 knots from the northwest occurring over Winslow at an altitude of about 11 kilometers. The radiosonde run terminated at the 13-millibar level of atmospheric pressure (about 29 km), where the temperature was -46 degrees C. There was very little direction shear in the Winslow wind sounding, a condition known to favor formation of mountain waves and believed to be conducive to nacreous clouds, at least in Scandinavia (2). It is possible, therefore, that the San Francisco Peaks just north of Flagstaff disturbed the flow so that wave motion was set up in the stratosphere, but this remains a conjecture, pending further study of reports of first appearance. Whereas some recent studies (4) suggest strong local stratospheric cooling as a prerequisite for the formation of nacreous clouds, the sounding at Winslow showed little departure from average temperature conditions in the lower and middle stratosphere. Photogrammetric analysis of the four photographs known to have been taken in the Tucson area have yielded elevation angles of the near point ranging from 5.9 to 6.2 degrees. Because the exact range to the nearest point of the cloud is not yet known to better than 10 or 15 miles in 190 miles, the exact height cannot yet be determined. However, the cited elevation angles plus allowance for earth curvature give a cloud height of 35 kilometers, possibly a bit higher if the range to the near point proves to be greater than 190 miles. This height is distinctly greater than that of reported Scandinavian nacreous clouds. Photogrammetric heights obtained over many years by Stormer and others (2,3) are no higher than 30 kilometers, and the majority lie between 22 and 28 kilometers. The estimated height of 35 kilometers rules out the possibility that the Flagstaff cloud could have been the condensation trail from a jet plane. The present American altitude record, made under the most favorable conditions directly above the home field by a Lockheed F-104 in 1959, is 103,395 feet (31.6 kilometers). Perhaps more conclusive is the fact that the upper limit of height for possible contrail formation (5) as indicated by the sounding from Winslow was just under 24 kilometers at the time of the cloud's appearance. These preliminary indications mark the Flagstaff cloud of 28 February as a most unusual phenomenon of considerable meteorological interest. Requests for photographs, still being made at time of this writing, have already brought promises of photographs from a total of 16 sites reasonably well dispersed around Arizona, so fairly precise data on the cloud's height, shape, and dimensions should be obtainable by triangulation. A conflict between heights estimated from the Tucson photos and from sunset geometry is under study (the indicated height based on available reports of fadeout time is about 25 kilometers). Premature fadeout may have been due to cirrus clouds between the cloud and the ray- tangency point, computed to lie at or very near Los Angeles. 1. S.K. Mitra, The Upper Atmosphere (Asiatic Society, Calcutta, ed.2, 1952). 2. E. Hesstvedt, Geofys. Publikasjoner Norske Videnskaps. Akad. Oslo 20, No. 10 (1959). 3. A. Y. Driving, Bull. Acad. Sci. U.S.S.R. Geophys. Ser. 3, English Transl. (1959), pp. 279-286. 4. Y. Gotaas, Geofys. Publikasjoner Norske Videnskaps Akas. Oslo 22, No. 4 (1961); A. Y.Driving and A. I. Smirnova, Bull. Acad. Sci. U.S.S.R.
5. H. Appleman, Bull. Am. Meteorol. Soc. 34, 14 (1953). 6. I thank Leon Salanave for alerting me to the cloud when it became visible in the Tucson sky and for further technical assistance, and I. E. Daniels and C. E. Peterson for permission to reproduce their photographs. 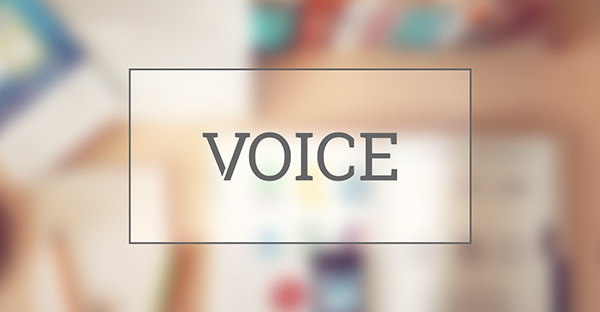 The cooperation of the numerous Arizonians submitting reports is gratefully acknowledged. Supported by the Office of Naval Research under contract NR 082-164. 7.2 Easter Earthquake – A Sign of Something Greater? 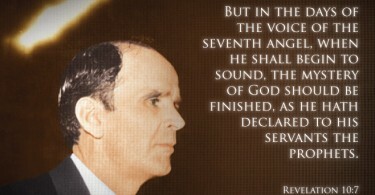 I praise the Name of the living God for what He did through His servant William Branham. To bring this end time message to this generation. I pray the seed of God to see what she’s suppose to see and to get into the Ark before the wrath of God strikes on this earth. God bless you all. Shalom! God be with you till we meet again .. #Rapture.. Without doubt,William Branham was a true Prophet of God. Thanks be to God for light in d evening time to show me the way back home Zach. 14:7 to God be all d glory. Shalom. I hope my contribution is valuable.